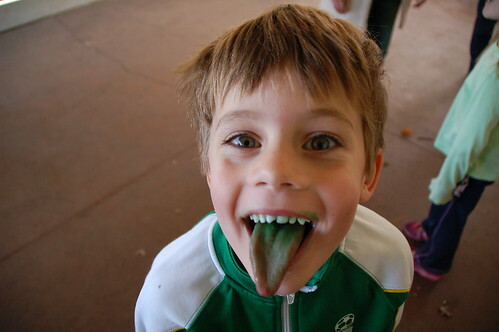 Last year the children in B’s class drank a magic potion to make ’em Irish for the day. This was the brain-child of uber-crafty-mom Doree — who consitently comes up with the BEST ideas that always trump anything the rest of us schlubs can imagine. It did eventually wear off.